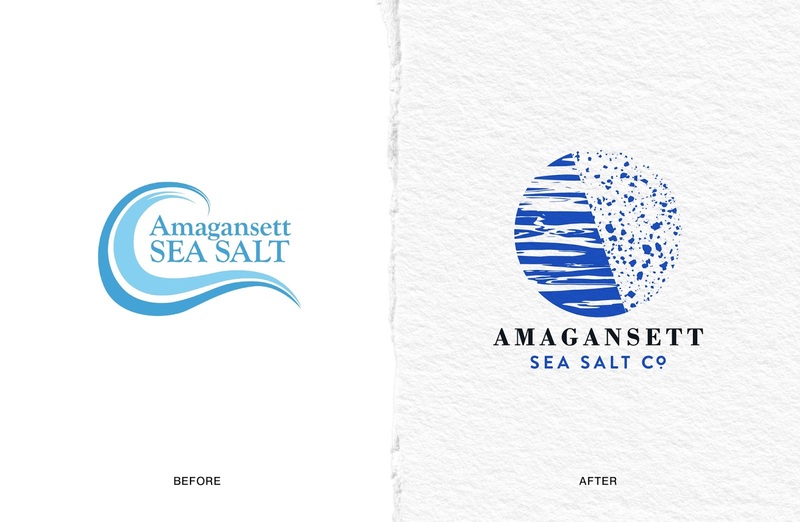 Safari Sundays has rebranded Amagansett Sea Salt, including brand story, messaging, logo design, packaging design, and new product formulation. As the salt of choice for Eleven Madison Park, Amagansett Sea Salt is no ordinary salt; hand harvested and sun-dried in small batches, it is the direct result of one man’s commitment to harnessing nature at her best. It deserved an identity to match its brilliance. 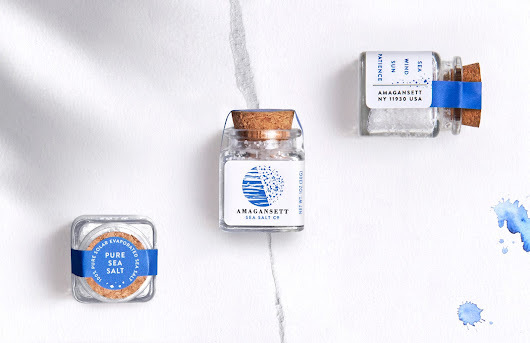 ‘The beauty of Amagansett Sea Salt is not its traditional process’ says Chief Strategy Officer, Georgia Levison, ‘but rather, the brand’s deep respect for the sea and the wonder of transformation, from the raw, pounding ocean to truly refined seasoning’. ‘Spending a day harvesting the salt ourselves gave us unique insight into the visceral nature of the process,’ adds Senior designer Priscila Grassi ‘being out there in the sun, the wind and the ocean inspired us to create a bold, elemental design that takes you right to the heart of it’. Safari Sundays abandoned more familiar codes of craft for a modern, fresh design language that could tell the story with maximum distinction. As Creative Director, Adam Walko, explains ‘The logo was given a renewed authority and the pack became focused around a raw yet sophisticated expression of water transforming into salt – a visual tool that could be adapted to tell other parts of the story as needed’. 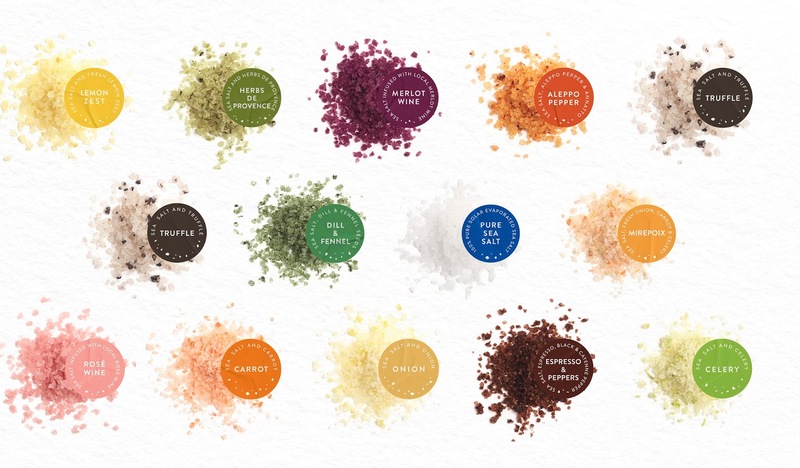 The brand’s core color palette was intensified to express the purpose and potential in each of the flavors and the tone of voice was simplified to reflect the dedicated focus of its founder, using only four words to tell the entire story. 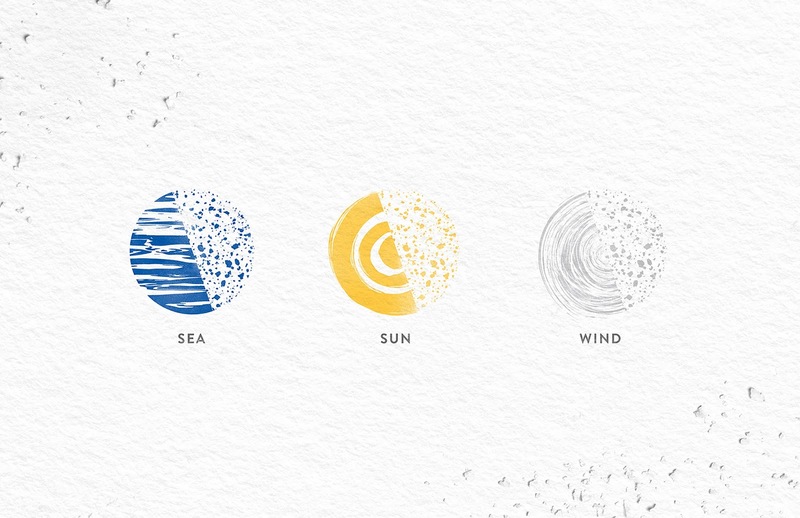 Founder and CEO Steven Judelson says, ‘Safari Sundays managed to capture the emotion, process and superior quality of my salt in one – the refined rawness of our new identity tells a true product story and can emotionally connect to the chefs and food lovers that we want to reach. Safari Sundays passionately believes in what we’re doing. This was not only about great design but a like-minded partnership’. 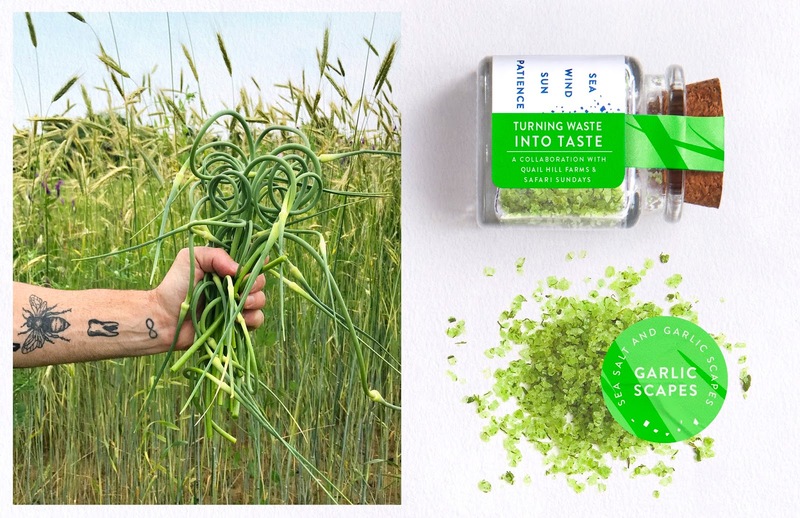 The partnership also led to Safari Sundays realizing their own passion for reducing food waste, through the creation of a beautiful sea salt flavored with leftover garlic scapes, in collaboration with Amagansett Sea Salt and Quail Hill farm. Amagansett Sea Salt products are available in select stores in New York and online and Safari Sundays x Amagansett x Quail Hill Garlic Scape Sea Salt will be available on request.